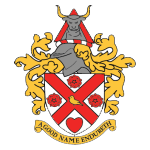 Hornchurch Stadium is actually located in Upminster, Essex – just north of the Dartford River Crossing and is easily accessed via car or public transport. Take the M25 to junction 29 on the A127 towards London. Come off at the next major turn-off (signposted to Upminster) and turn left into Hall Lane. Follow this road for about a mile and a half, passing Upminster station on your left, until you come to a major crossroads with traffic lights. Turn right at the lights into St Mary’s Lane. Continue down the hill and take the second turning on the left (Bridge Avenue). The stadium is found about 200 yards down Bridge Avenue on the right. Car parking is available at the ground on a first come first served basis. When full, street parking is available along Bridge Avenue and opposite the ground in Brookdale Avenue. Nearest BR station is Upminster which is on the Fenchurch Street to Southend/Shoeburyness line. Turn left out of the station and follow the directions above. Upminster Bridge underground station (District line) is also close to the ground. Turn right out of the station, walk under the railway bridge and take the second right turning into Bridge Avenue.